On this day in 1820, the world famous Venus de Milo statue is discovered on the Aegean island of Melos. One of the most magnificent surviving examples of Ancient artistic genius, it is dated to between 130 and 100 BC. Western European art would not again achieve the level of sophistication on display in the Venus until the Renaissance, roughly fifteen hundred years later. 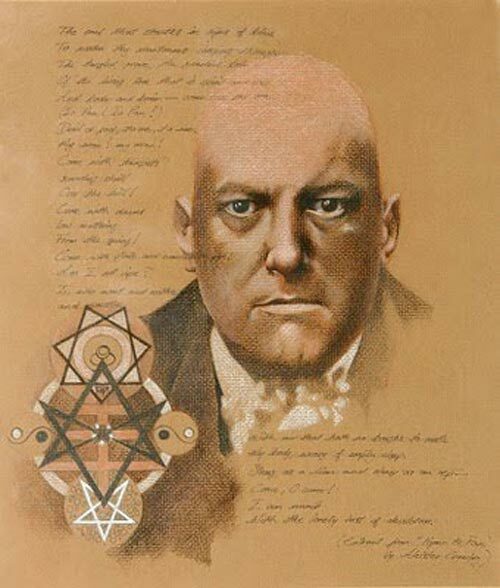 During a three-day span beginning on this day in 1904, while visiting Cairo, Egypt, notorious British occultist Aleister Crowley “receives” the first chapter of The Book of the Law, the central sacred text of the religious philosophy that would come to be known as Thelema. Also known as Liber Al Vel Legis, this slim volume – allegedly dictated “from beyond” by Hoor-Paar-Kraat (“Horus the Child”) via a discarnate intermediary called Aiwass (whom Crowley would eventually claim as his own personal Holy Guardian Angel) – is widely regarded as kicking off the Aeon of Horus, which some have connected to both the Age of Aquarius and the New Age. This otherworldly revelation-by-dictation has come to be considered one of the most important mystical documents of the 20th century, and is well worth reading. "Today, along with many allies, we are helping the people of Iraq and Afghanistan to build free societies. And we are working with the people of the Middle East to spread the blessings of liberty and democracy as the alternatives to instability, hatred, and terror. … The defeat of terror and the success of freedom in those nations will serve the interests of our Nation and inspire hope and encourage reform throughout the greater Middle East. In the aftermath of September 11, those were the right choices for America to make -- the only choices that can ensure the safety of our Nation in the decades to come." 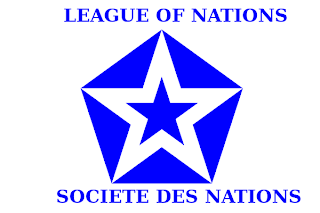 On this day in 1946, after a series of disastrous failures and bungled opportunities, the League of Nations - which had risen from the ashes of World War One - assembles for last time before ultimately disbanding 4 days later, on April 12, leaving behind little more than an official emblem featuring one of the most eyebrow-raising and paranoia-inducing designs ever created. I mean, just look at it! Two pentagrams inside a pentagon? Come on!